Do you want to have a hand in designing your own flowers for your wedding or groom's dinner? 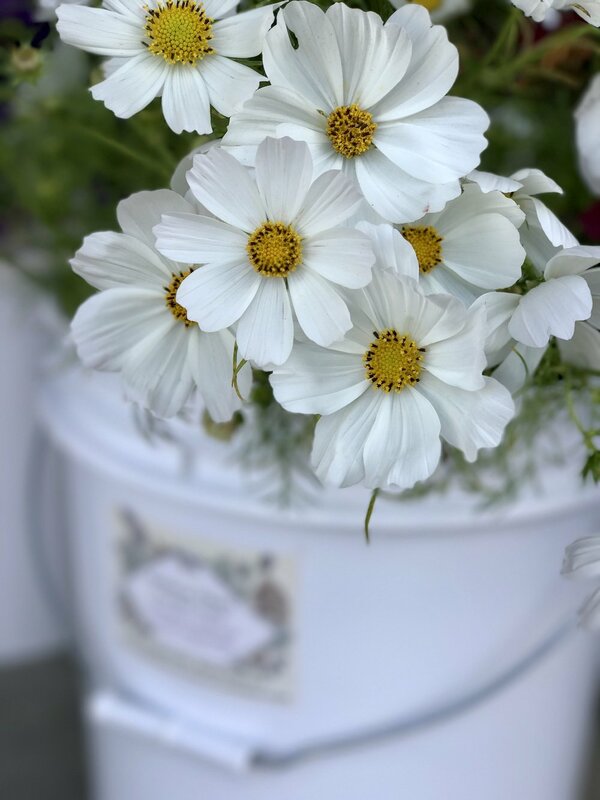 We offer bulk flowers by the floral bucket for brides who want to arrange their own flowers using our beautiful fresh blooms. 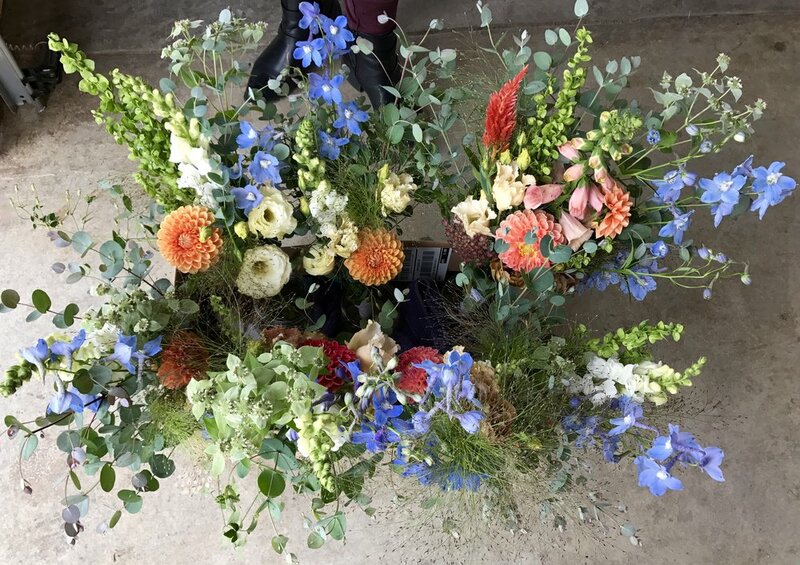 Just let us know what you are looking for - style, types of flowers and/or greenery, any specific colors - and we can assemble a seasonal assortment that will look stunning for your event. Approximately 50-60 stems per floral bucket. Pick up at the farm or delivery can be arranged. If you and your family or bridal party would like to assemble your flowers at the farm, we welcome you to reserve our spacious studio space for your convenience and enjoyment.